Despite selling part of its smartphone business to Google, HTC is still working its smartphone portfolio with only a few models scheduled to launch this year. The Taiwanese company will continue its U series flagship phones and HTC U12+ is the next flagship from the company according to the latest reports. The phone has been surfaced on internet revealing its details. Earlier, detailed specifications of the upcoming U12 had surfaced last month. Now, the first image of the HTC U12+ has been leaked along with few other details by Evan Blass. 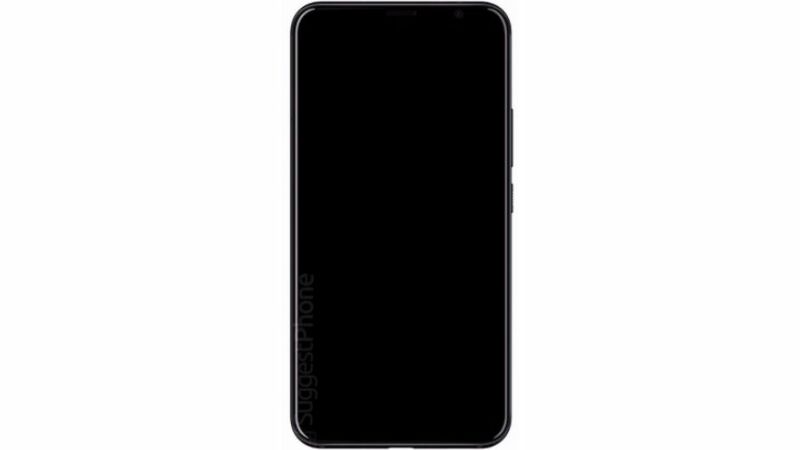 According to the report, the U12+ will come with a horizontal dual rear camera setup, dual front-facing cameras for bokeh effects and full-screen display. It is also to come with second-generation HTC Edge Sense for improved features. If we talk about rumored specifications of upcoming HTC U12+, the phone sports a 6-inch (2880 x 1440 pixels) Quad HD+ Super LCD display with Corning Gorilla Glass 5 protection. It is also said to be an 18:9 display. The phone is powered by an octa-core Qualcomm Snapdragon 845 Mobile Platform with Adreno 630 GPU. It will pack 6GB RAM and 64GB or 128GB storage (UFS 2.1) options which are expandable up to 2TB with microSD. In the camera department, there will be a 12MP HTC UltraPixel primary rear camera with dual LED flash and a secondary 16MP rear camera. Up front, there will be an 8MP + 8MP dual cameras with Real-time bokeh effects. The phone will be running Android 8.0 (Oreo) with HTC Sense UI on top. There is fingerprint sensor below the camera module. It will be water and dust resistant with the IP68 rating. Connectivity options on the phone will include Hybrid Dual SIM (Nano/microSD), 4G VoLTE, WiFi 802.11 ac (2.4 and 5 GHz), Bluetooth 5, GPS with GLONASS, NFC, USB Type-C.
For the audio, it features USB-C audio, HTC USonic with Active Noise Cancellation, HTC BoomSound Hi-Fi edition, and is Hi-Res audio certified as well. The phone gets power from a 3420mAh battery with fast charging support. HTC is said to be working on U12+ for a long time and the report suggests that the development has recently encountered a minor snag. So, the expected launch date now will be postponed from late April to early May.